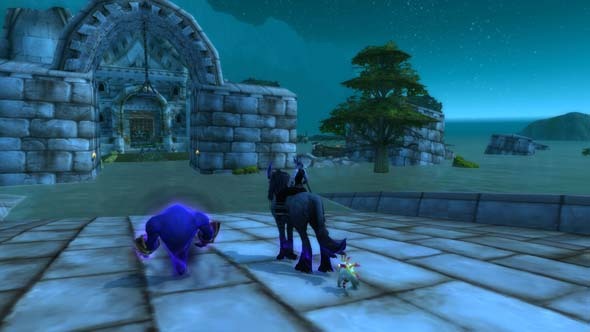 World of Warcraft was an easy game to fall in love with. The lore fascinates me enough that I’ve got into the habit of checking everything on my travels to make sure I haven’t missed any significant details. It’s become an obsession. I’ll never forget opening my map, seeing a zeppelin leaving Brill for the first time, and realising just how huge Azeroth is. 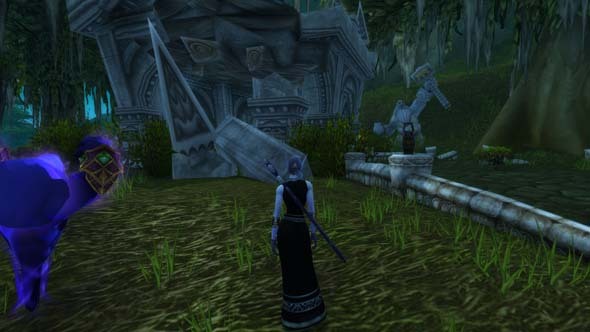 I’m still gripped by almost painful pangs of nostalgia whenever I hear the Hillsbrad Foothills zone music – I still have to fight the urge to immediately level a new character. With that in mind and with Legion drawing to a close, I decided now would be the perfect time to level a Void Elf. Once I’d finished the opening quests for my level 20 warlock, the Hero Board beckoned, offering up three zones to choose from. I decided to start levelling in the Wetlands. Need something to play right now? Check out the best free MMOs on PC. As I arrived at the Thelsamar flight point in Loch Modan and travelled north, making my way along the unfamiliar, weaving paths and tunnels carved out of the hillside and into the Wetlands, it was with some surprise that I realised that I’d never quested here before. I’ve played World of Warcraft for many years. I have every class at level 100 or higher and I have the Loremaster achievement – I thought I knew Azeroth inside out. I was barely over that shock – and some way into questing – when I was told to seek out Thargas Anvilmar and help him to defend the Thandol Span against Dark Iron Dwarves (yep, the ones we’ve been hearing so much about recently). The proximity of the Twilight Highlands and Grim Batol should have clued me in, but it seems that my knowledge of Dwarves – and geography, apparently – is shaky, at best. Once that was taken care of, I resisted the urge to cross into Arathi Highlands for a quick visit to Stromgarde and continued on my way. After helping a bunch of Night Elves to extinguish fires, having a bit of a nose around Ironbeard’s Tomb (he’s no one important, sadly), and gazing longingly at the Murlocs – I’d totallyplay one if they were an allied race – I made my way to Menethil Harbor. The partially flooded town fascinated me and I certainly wasn’t expecting to find boats here that take you to either Theramore or Howling Fjord. I spent a while exploring the buildings and attempted, unsuccessfully, to find a way into a submerged house, all while trying to imagine how the place must’ve felt before Deathwing destroyed it all. My time in the Wetlands has made me wonder what other zones I may have unknowingly missed out on. I have always played primarily as Horde and, when I have levelled the occasional Alliance character, I tend to gravitate towards the Draenei, Humans, and Night Elves. So, while I’m familiar with their levelling zones, ignoring other races has caused me to unintentionally miss out on some areas. 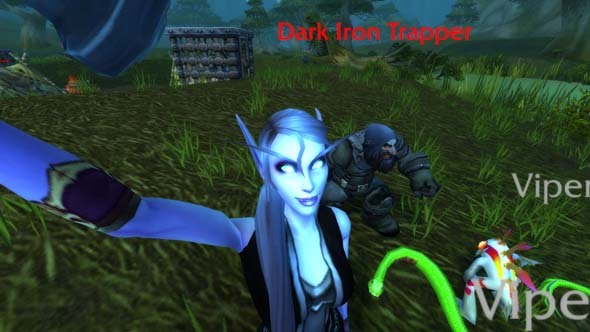 I think we’re all guilty of sticking with what we know in WoW, especially when levelling a new character. Your plan may be to start out slowly and enjoy the levelling experience, but if you’re anything like me, within the first handful of levels you’ve donned every piece of heirloom equipment you possess and dungeoned your way through entire zones, moving mechanically from one quest hub to another, watching your experience bar and not much else. The new level scaling has done wonders for this: you can actually finish a zone before you out-level it and you don’t feel quite so OP with heirloom gear. 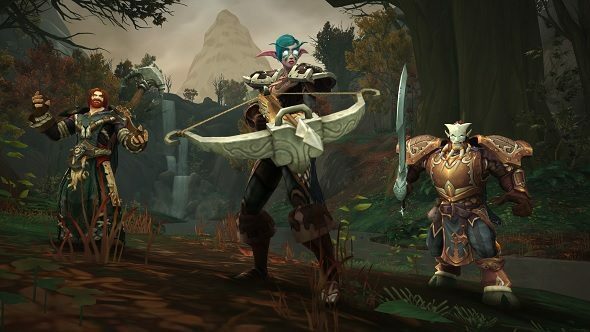 So, if you’re looking for something to do in WoW while you’re waiting for Battle for Azeroth, try stepping outside your comfort zone and level a race you’ve never played. You might be surprised at what you find.